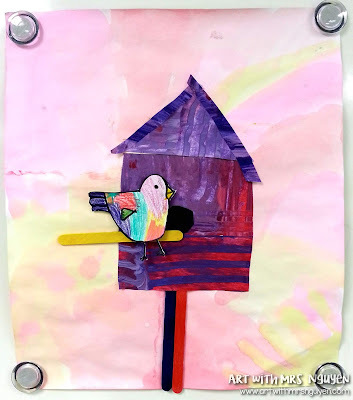 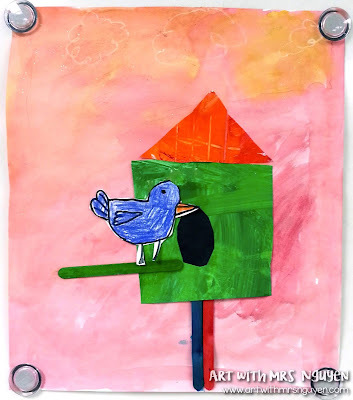 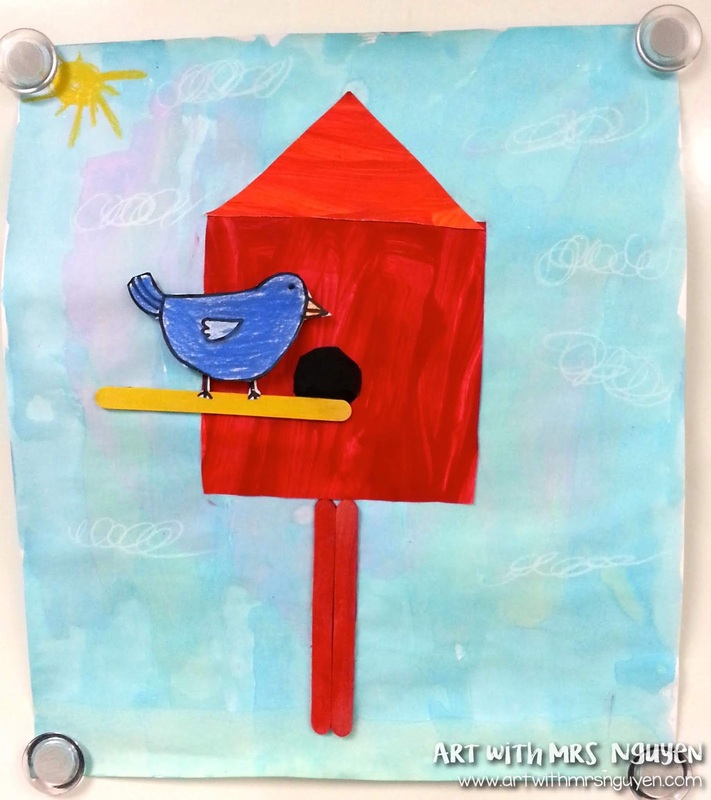 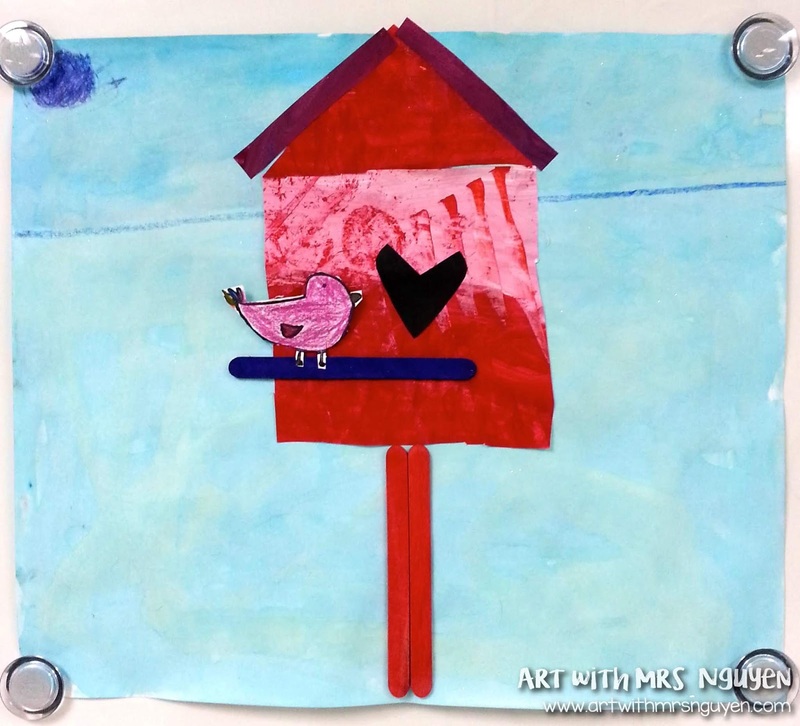 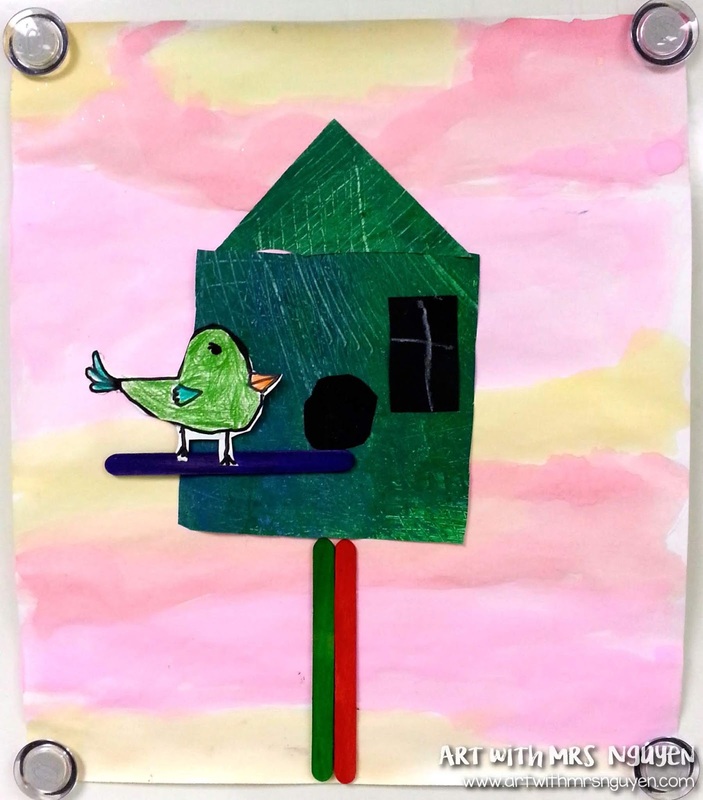 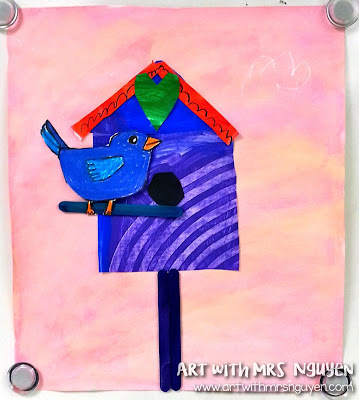 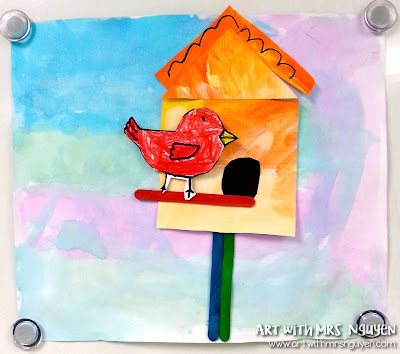 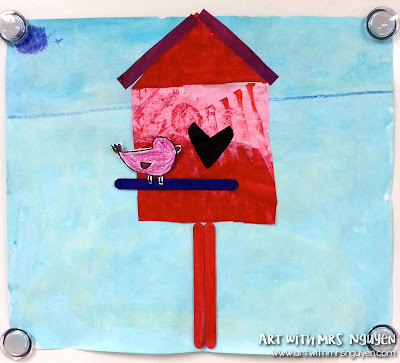 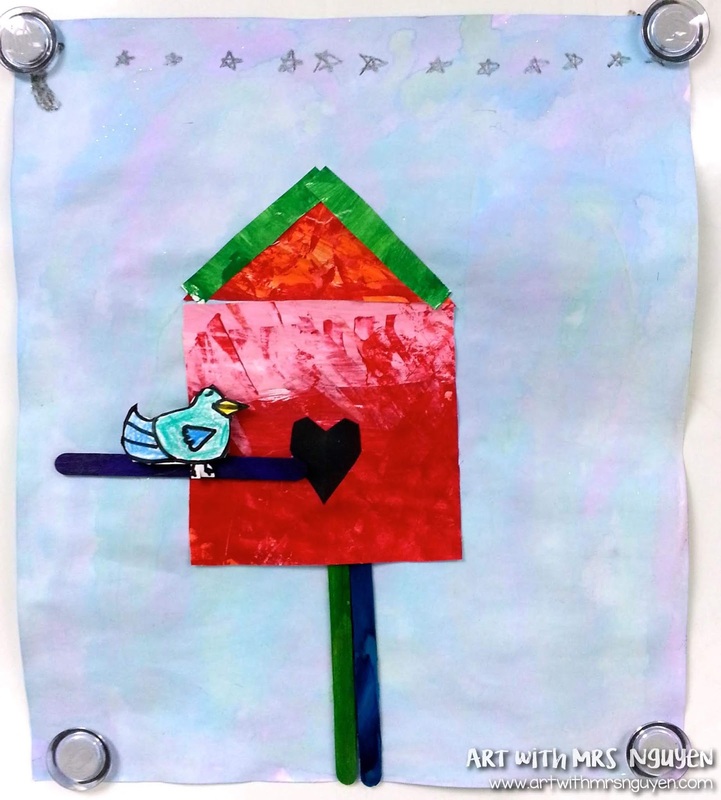 This past week another group of 1st and 2nd graders finished up their birdhouse collages (posted about here). 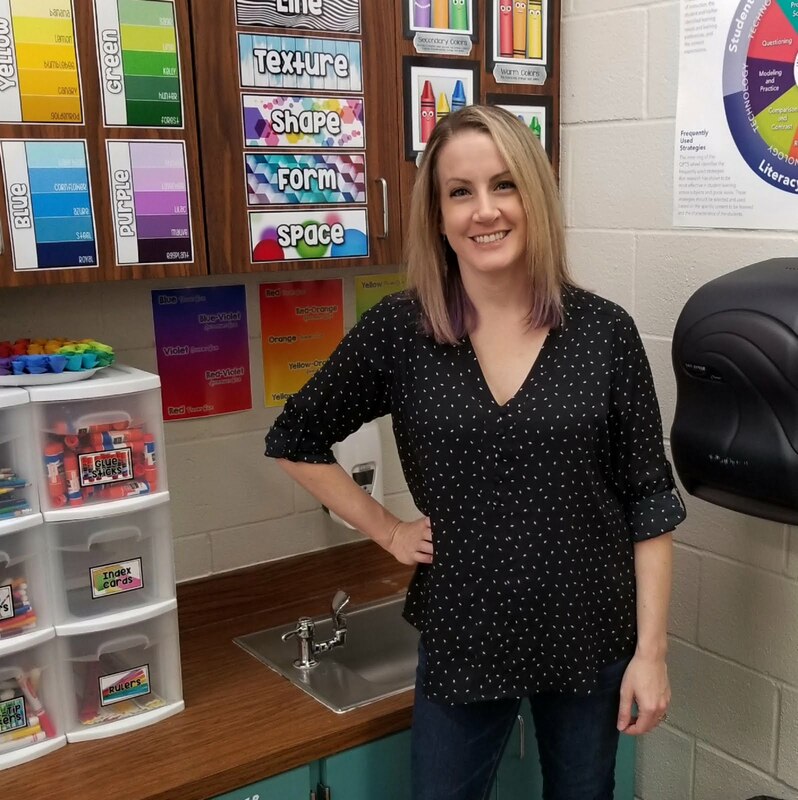 This rotation I changed things up by making the lesson a 3-day project instead of a 2-day ... and also decided to talk to students about warm/cool color schemes. 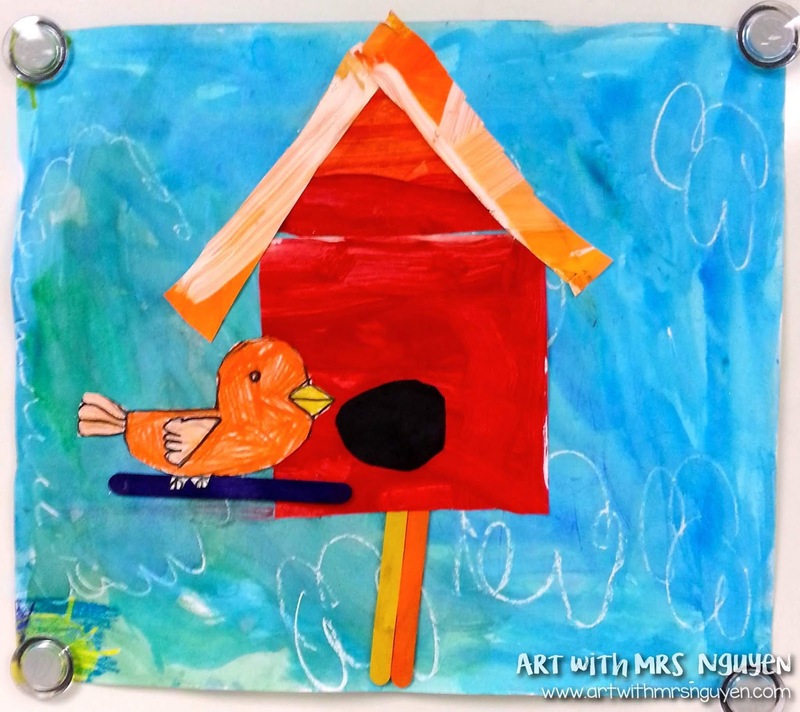 Students were asked to paint their backgrounds with either a warm or cool color scheme, then use the opposite scheme to build the bulk of their birdhouse to create more contrast.